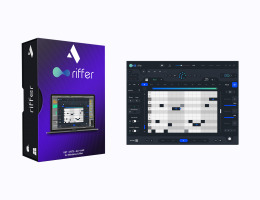 Introducing 'Riffer', a smart MIDI tool that generates random Riffs for your Sounds, Software & Hardware. You can generate fresh ideas, sequences, melodies, riffs and musical patterns. Turn them into something of your own or let the software run endlessly using the infinity mode. Once done, Export the MIDI using Drag and Drop, Or when using the app version, you can send MIDI over Wi-Fi, or select CoreMIDI for inter-app communication and to feed any compatible hardware. Built both for studio and live performance.